We celebrated the 18th anniversary of foundation at the office. All members of ESCO had a great time together with meals, after awarding prizes for 10 and 5 years workers in long service. 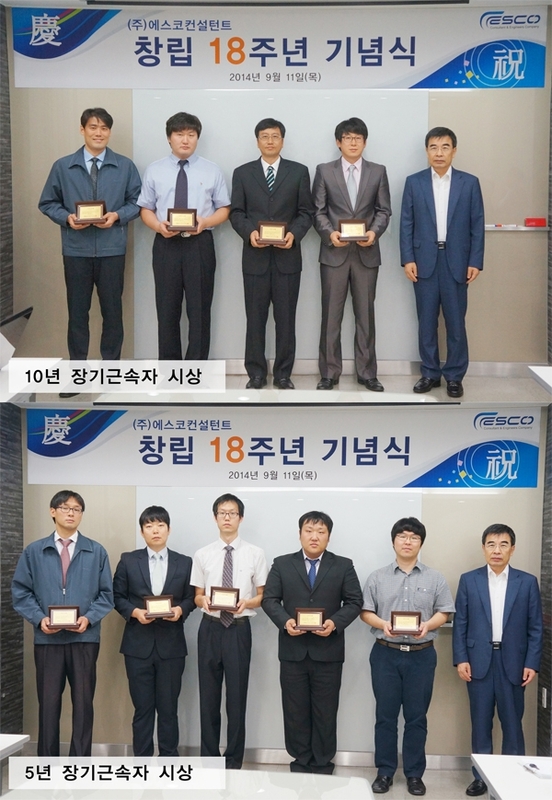 Congratulations on the 18th anniversary of ESCO!